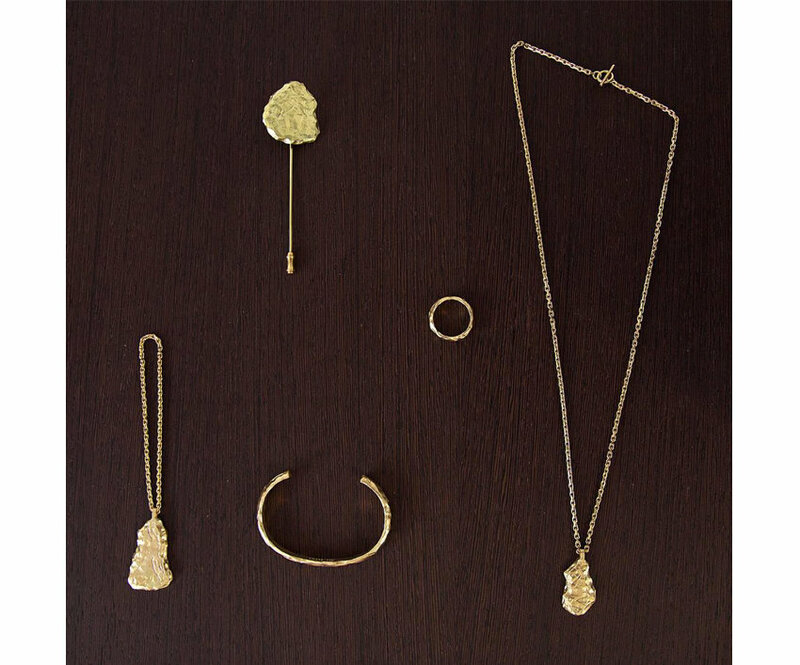 Swedish jewellery brand All_Blues just recently presented their carved collection in Paris, which includes an asymmetric bracelet, a ring, a pin, a necklace and chain pendant all in 18 carat gold. They have already collaborated with Acne Studios a couple of seasons ago, and is basically seen all over menswear editorial at the moment – along with wrists of icons and street style stars. I wouldn’t mind the ring nor the gorgeous slightly bohemian necklace paired with a sun kissed skin. Picture taken from their Instagram, here.